The company announced the distribution of oil products, on Monday, the processing of Nineveh with 102 million liters of oil derivatives and the rehabilitation of five distribution outlets. The director general of the company, Kazem Masir Yassin, in a statement received "economy News" a copy of it, "The more than 102 million liters of oil derivatives were processed for the province of Nineveh last December," recalling that "these quantities amounted to 49 million liters Of gasoline, 27 million liters of white oil and 26 million liters of kerosene oil. " Masir explained that "the engineering and technical cadres in the branch of Nineveh continue its efforts to rehabilitate the filling stations that have been damaged during the last period," revealing "the rehabilitation of 5 stations to fill fuel in the province, a comprehensive rehabilitation and awareness of the stations (culture. Waeliya), and is continuing to work to rehabilitate more distribution outlets to re-provide services to the citizens of Nineveh. 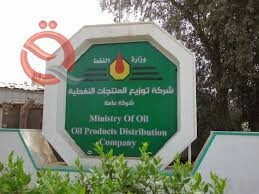 The general manager of the company, "The inspection staffs in the branch of Nineveh for petroleum products has conducted (368) inspection tour during the last month, during which control sales outside the controls and some other violations, in addition to the visit of many generators and ovens and bakeries and the installation of some irregularities and accounting for the defaulters were taken Necessary for them, in order to ensure the functioning of the best image. " He pointed out that "camps for the displaced in Nineveh saw the distribution of white oil to the displaced families in which they live," noting: "where the relevant committees to distribute the product on the camps (Hammam Alalil, runway, stump) free of charge to help them to face the winter to overcome Crisis ".